Audrey Hepburn getting her hair cut, or Jackie Kennedy lounging back in her private study: these are names we know, but it’s the off-the-cuff and unguarded portrayal of them in lensman Mark Shaw’s photographs that resonate. 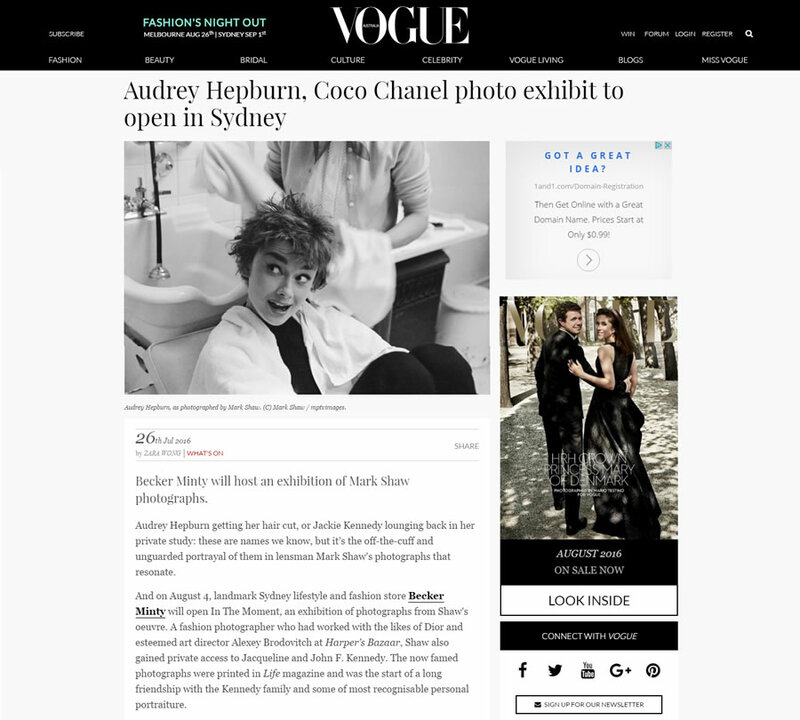 And on August 4, landmark Sydney lifestyle and fashion store Becker Minty will open In The Moment, an exhibition of photographs from Shaw’s oeuvre. A fashion photographer who had worked with the likes of Dior and esteemed art director Alexey Brodovitch at Harper’s Bazaar, Shaw also gained private access to Jacqueline and John F. Kennedy. The now famed photographs were printed in Life magazine and was the start of a long friendship with the Kennedy family and some of most recognisable personal portraiture.